Week one of training for the Chicago marathon is in the books and I am now on my journey to 26.2 in October. After a weekend of back to back runs and piyo, my legs and feet were dead. I did 2 miles on the elliptical and opted for a good stretch for 10-15 minutes afterwards. This was my first ever speed workout and I have to say, I really enjoyed it. I hit my target paces for each 400m (ranging from 8:03-8:29) and walked between each 400m. My cool down ended up being 1.5 miles and my total miles for Tuesday were 5.25. I did 30 minutes on the spin bike for my cross training workout. 10:03, 9:49, 10:13, 10:12, 10:02. 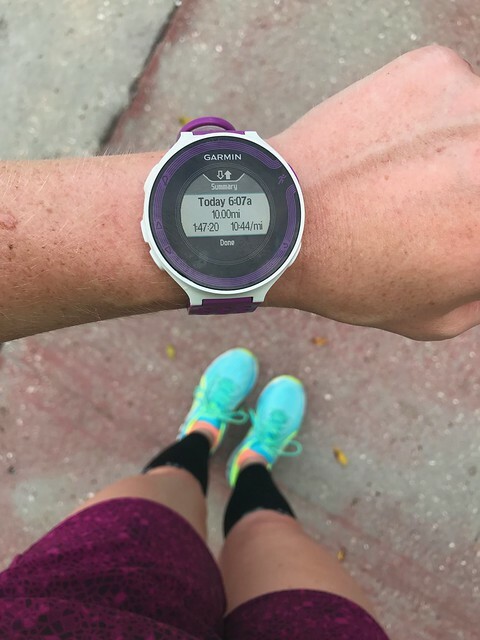 We headed down to Sarasota for the weekend, so my first long run of marathon training was a solo run. I figured this would be my first mental hurdle and it was. It was a rough run altogether, but I finished. Thankfully, I had a new podcast to listen to to keep me distracted for some of the run. From what I have heard and read, recovery runs are just as important as the long runs since it’s all about running on tired legs. 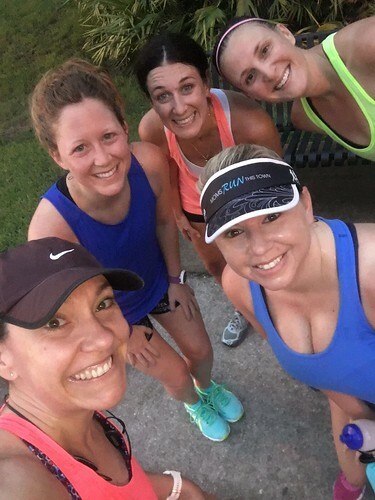 My first recovery run was 4 miles. I didn’t start until 7:45am so the sun was scorching and it was incredibly hot, but overall, my legs felt pretty good.